Members! Do you have any antique or vintage quilts you can share with our lovely group for our June 2016 meeting? Please be ready to share information about the quilt(s) if you have it. Do you know the history behind it? How did you acquire it? Do you use it? etc. Please check out the Members Only section of our blog for the nominees. Election will be held at the June 2016 guild meeting. If you are a paid guild member and need the password to log on, please email njmqginfo at gmail dot com. Check out the Montclair Historical Society’s Events page for Opening Weekend Events. 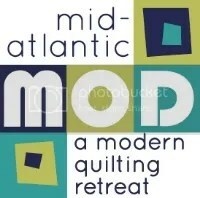 From the MQG site: International Quilt Festival will feature quilts in a special exhibit, Modern Quilt Guild Showcase. This exhibit will premiere at International Quilt Market and Festival, November 3 – 6, 2016. Learn more. QuiltCon East 2017 Catalog is available! Registration opens June 25th! ← Reminder: JUNE 2016 OPEN SEW!